See Giuseppe on the big screen at the Metropolitan Opera’s Live in HD Broadcast of La Clemenza di Tito live in a theater near you on December 1 and in rebroadcast on various dates around the world. 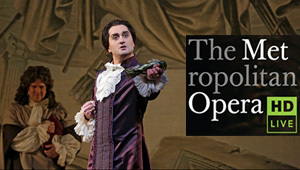 Giuseppe stars in the title role alongside Barbara Frittoli, Elina Garanca and Kate Lindsey. Harry Bicket conducts. This “elegant” production (AP) is “more than the sum of its excellent parts” (New York Post).